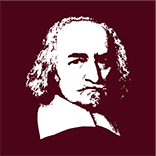 Gabriella Slomp, Reader in Political Theory at St Andrews, is the new Editor-in-Chief at Hobbes Studies, the leading journal for research on Thomas Hobbes. For the last two years she has been the Associate Editor. Marcus Adams, Assistant Professor of Philosophy at Albany, moves up from Assistant Editor to Associate Editor. Juhana Lemetti is now moving on as Editor-in-Chief, after a successful tenure which saw a significant step-up for the journal. Juhana, who is on the International Advisory Board for the European Hobbes Society, took a journal that – in my view – had a rather mixed quality of publications, but which now accepts high-quality papers with great consistency. I’ve been privileged to watch this as a member of the Editorial Board of Hobbes Studies since 2013. I personally wish Juhana all the very best for the future.